Cushion-Ease® is a modular anti-fatigue matting system that offers exceptional fatigue relief. All Cushion-Ease® mats have a male/female interlocking system and are compatible with Notrax® M.D. Ramps for easy on-site custom configurations and trip-resistant platforms. Large holes provide excellent drainage and aeration leaving a dry work area. 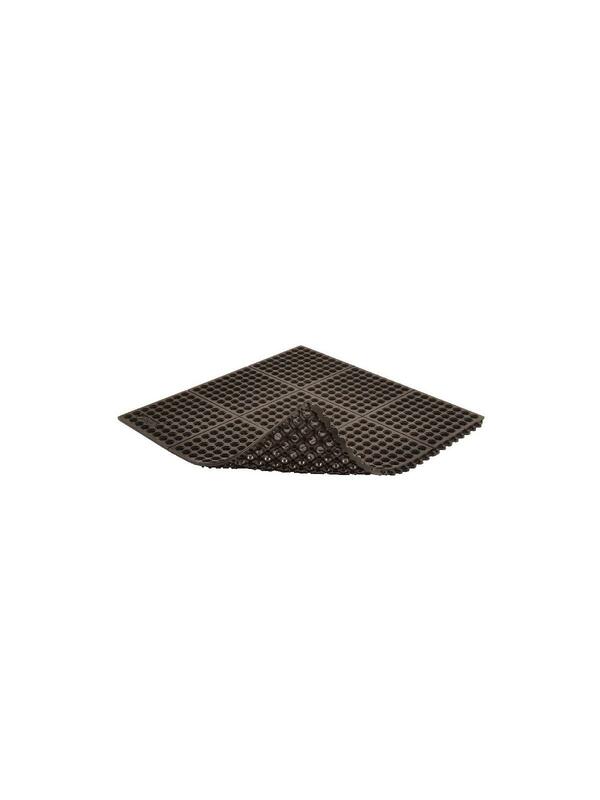 550 Cushion-Ease® is made with a heavy duty rubber compound. 650 & 850 Niru® Cushion-Ease® are made with a 100% Nitrile rubber compound, with the 850 featuring a high performance, grit top surface. 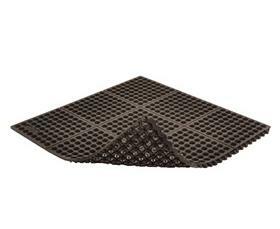 These modular matting systems excel in extreme wet environments. FOB Shipping Point. See Related Items tab for 551/552 Cushion-Ease® Ramps.